I have been traveling for the past few weeks and returned recently from a vacation to Costa Rica. It was my first trip to Costa Rica. It is a beautiful country and full of friendly people (and friendly dogs), (lots of friendly dogs), (lots and lots). Unfortunately I found Costa Rica was no place for longwings. Way too dusty and hot. The car thermometer hit 41C (105F) on a drive to Liberia. 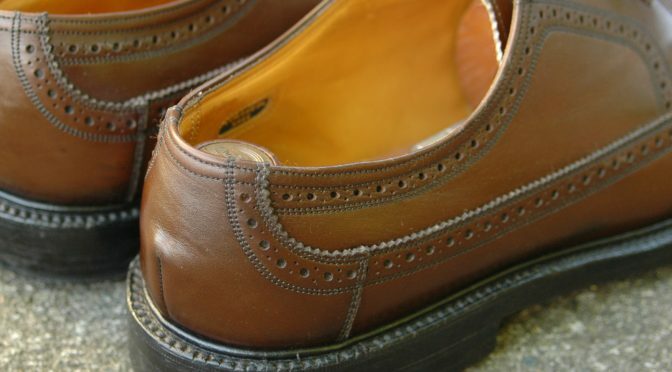 I told my daughter that could never live there because I couldn’t wear my modest (I think so), collection vintage shoes. Or I would need switch to vintage sandals. And blog about sandals. No. 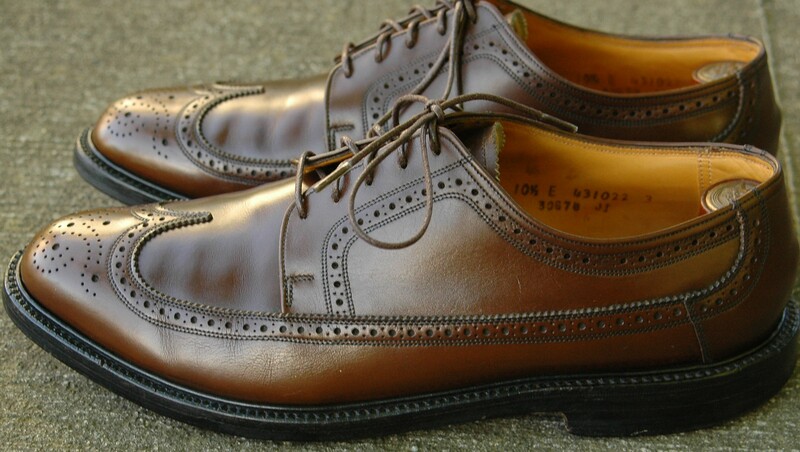 But vcleat.com is a place for longwings. 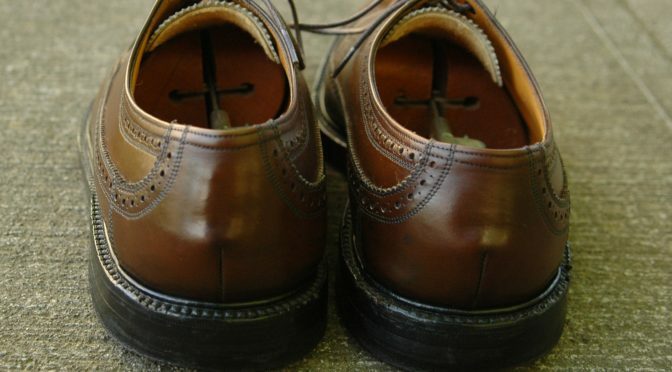 Today’s nostalgia tour covers a rare Florsheim model in a leather referred to as “Weathered Moss Windsor Calf”. 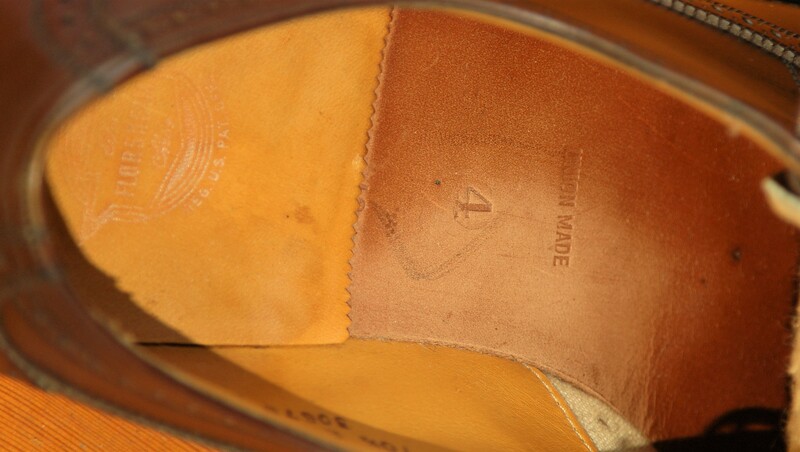 This particular shoe was made in 1968. The shoe is brown with a hint of green. Thus the “Weathered Moss” name. If Peter Pan grew up and became a middle manager in the 1960s, these are the shoes he would have chosen. I found an ad from 1965 announcing “Weathered Moss”. 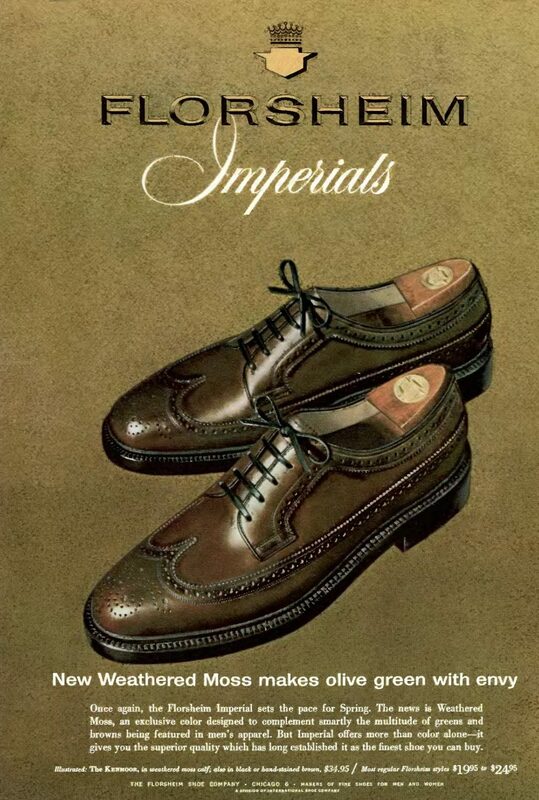 The ad shows the Kenmoor version of the shoe. 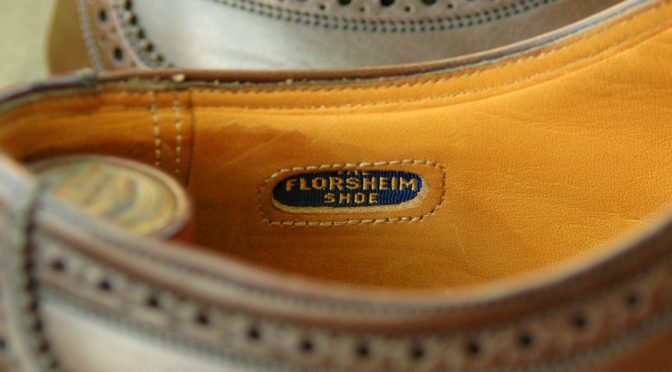 Florsheim used this leather on a variety of models including the 30768 Varsity model. I couldn’t find any reference to the color after 1968 so I believe Florsheim discontinued the model in 1968. I assume it wasn’t very popular. 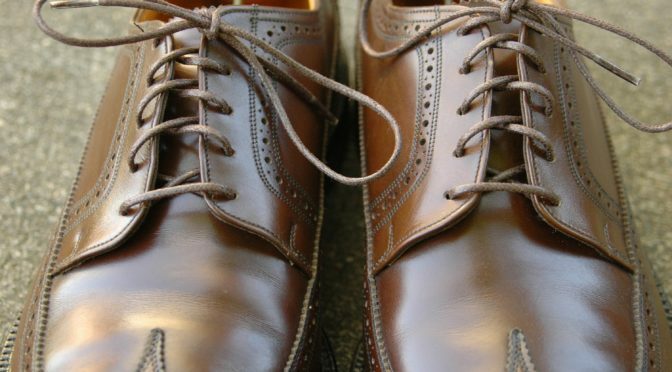 What’s the difference between this shoe and the common brown Imperial Kenmoor 93602? A few things: The 93602 is fully leather lined while this shoe is partially leather lined; the 30678 quarter is a single piece of leather and the eyelets are integrated into this piece of leather; single leather sole; a single row of nails in the heel; and no v-cleat. They aren’t as comfortable as a 93602. IMO. 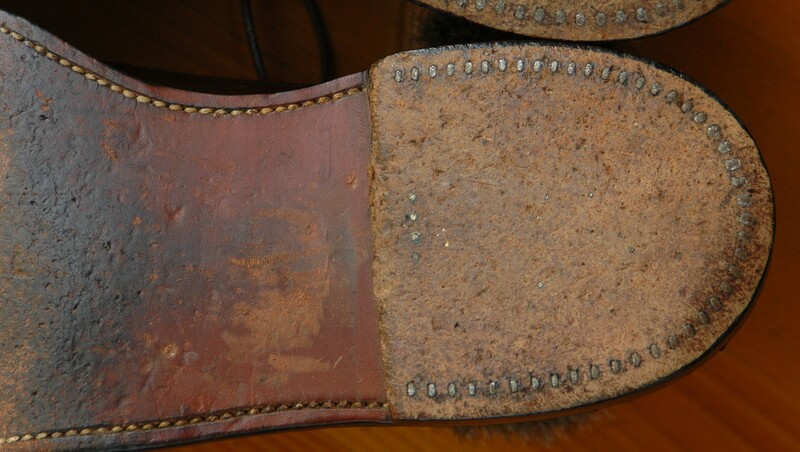 When I bought these shoes, they were already in great condition. 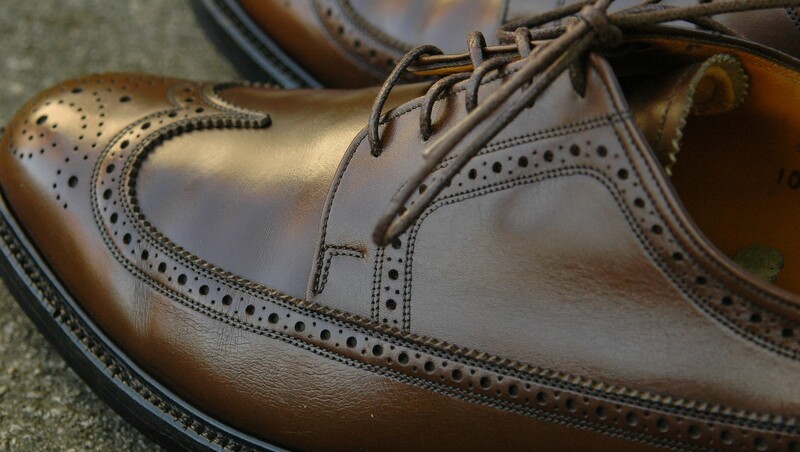 I didn’t do anything other than clean, condition and give them a shine using Meltonian Taupe shoe cream. Any updated suggestions on cream or polish for these? I just bought a pair. 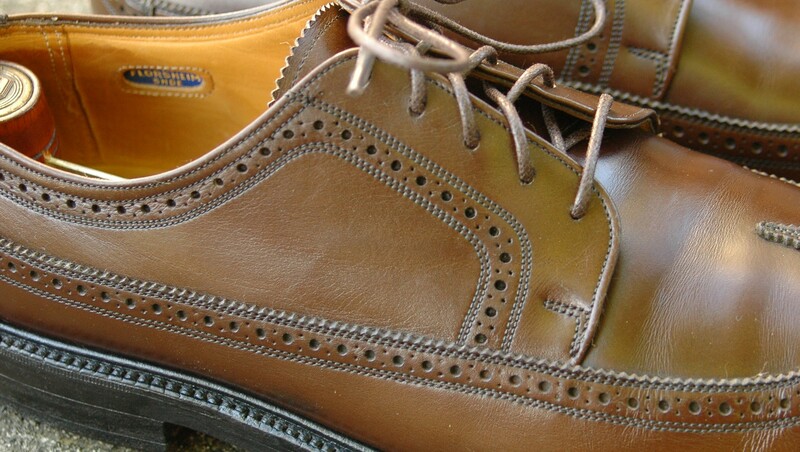 Does the Meltonian taupe bring enough green onto the shoe? The Taupe color was pretty close. A light brown might work well. This pair was too small for me so I have no regular maintenance suggestions. I’ll use any excuse to buy a new shade or brand of cream with no regard to the future of my children’s happiness or education. Perhaps I’ll just think of it as preserving a future pair of shoes for my sons. As an aside, I think will try to visit the leather healer shop in Hong Kong this December. 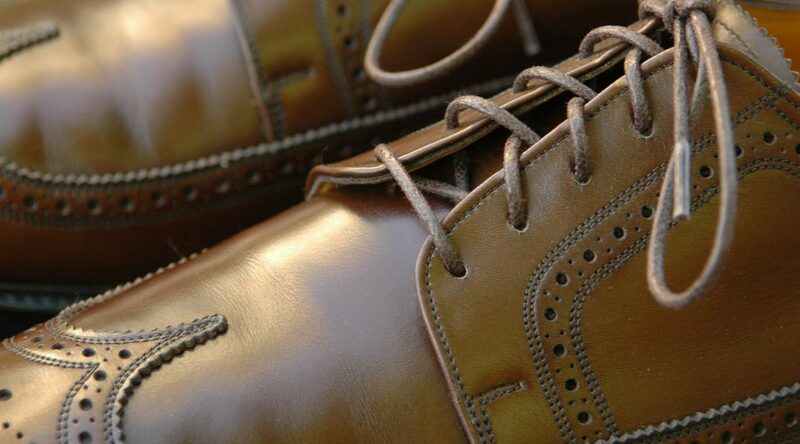 I’ve heard shoe obsession is a universal language.